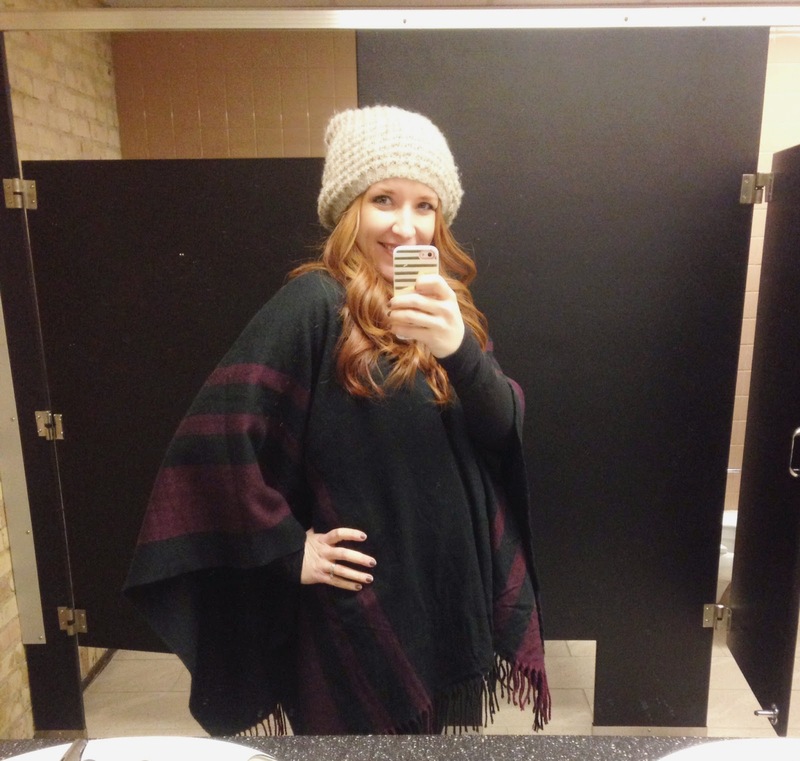 Can I please wear a poncho every day? It’s like wearing a blanket but it’s still socially acceptable. You can find my poncho here. It’s been so dark and gloomy lately so it was hard to capture a photo of it…but it’s black with Marsala colored stripes. 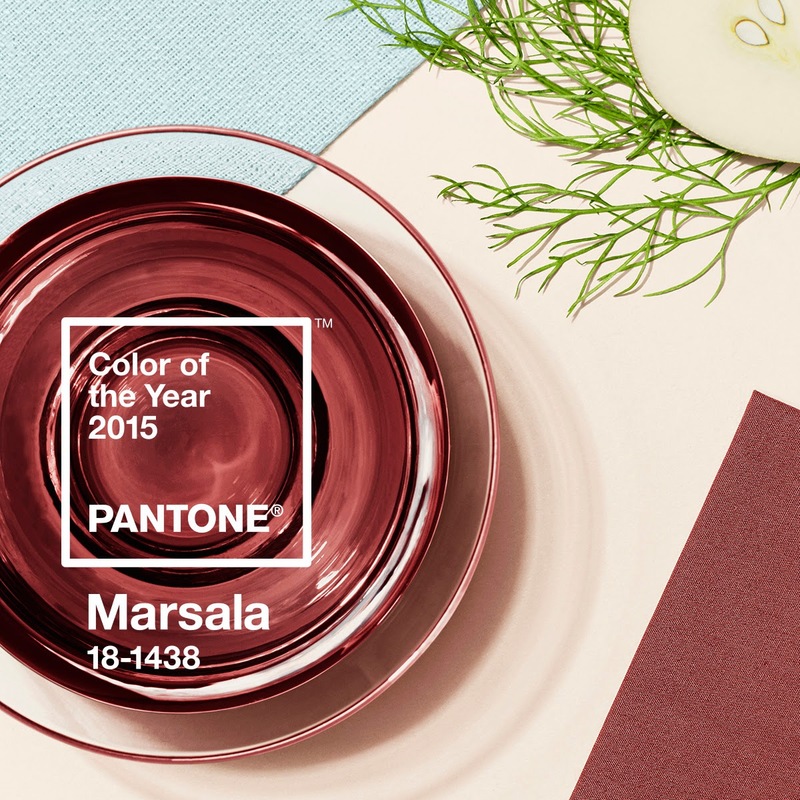 Marsala is Pantone’s color of the year for 2015! Isn’t it pretty? I need to find a nail polish that is Marsala….if you know of a good one let me know! I want to wear this color all day, every day. At first I was nervous about washing a delicate, dark colored item. I recently discovered Clorox® Darks & Denim and I have to say I was impressed. It really lived up to the hipe and kept the colors of my poncho vibrant. Do you have trouble with your darks fading? Clorox® 2 Darks & Denim is formulated with 2 times the color boosting power and removes 4 times more stains than are removed with pre-treating, and won’t cause fading. Here are some great tips from Clorox! For tough stains, like wine coffee and grass, be sure to pre-treat. First, remove the garment: do not treat clothing while wearing it. Remove all loose dirt from the fabric and blot wet stains with a clean absorbent cloth. Apply liquid Clorox® 2 Darks & Denim and rub it in. Wait several minutes – don’t let it dry – then wash with like colors. Got a tough deodorant stain? Apply liquid Clorox® 2 Darks & Denim directly to the deodorant stain and rub in. Wait 3-5 minutes (don’t let it dry on the fabric), then wash immediately in the hottest water recommended on the care label with detergent and additional Clorox® 2 Darks & Denim based on your load size. Spilled coffee during the commute? Rinse the stain from the back with cold water – it prevents it from sinking deeper into the fabric. When you’re home, pre-treat with Clorox® 2 Darks & Denim. Let the garment soak in cool water for a few minutes then launder with regular detergent on the hottest recommended water setting.Whether in this season’s hottest shade of Marsala or another amazing shade – lipstick can spell disaster for clothes. Some people swear by hairspray to prevent it from setting on the go. When you get home put a clean, dry cloth on the stain. Dab (don’t rub) the back of the stain with dish soap on a damp cloth. Be careful not to transfer the lipstick back onto the garment. Wash on the hottest recommended water setting with regular detergent and Clorox® 2 Darks & Denim. It’s the holiday season, which means that while you’re getting festive, you may encounter a liquor or red wine spill. Before washing, pre-treat with Clorox® 2 Darks & Denim. Wash on the hottest recommended water setting with regular detergent and Clorox® 2 Darks & Denim. How do I launder stained clothing? Thank you to Clorox for sponsoring today’s post. All opinions are my own. I do in fact wear a poncho on the daily. It's like the legging rule of pregnancy TOTALLY ACCEPTABLE! Looks so comfy! OPI Mrs. O'Leary's BBQ isn't quite as bright as marsala, but it would be a great color to coordinate with it! 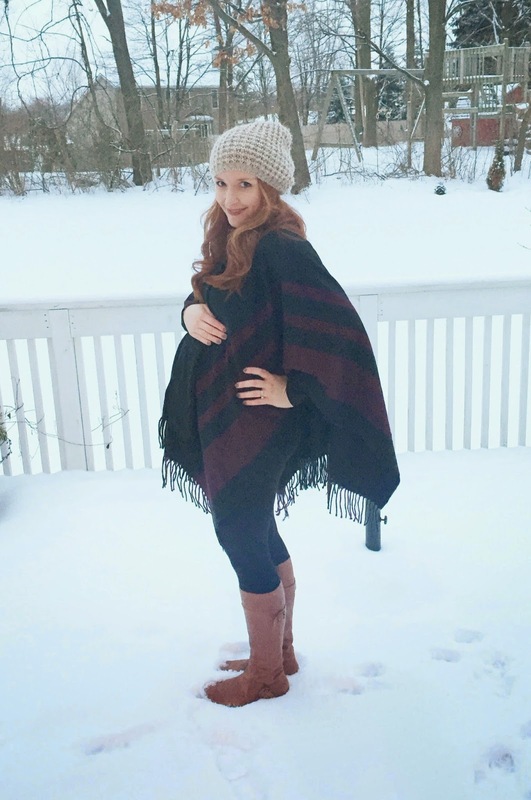 My winter coat is basically looking redonk with this baby bump, so I'm thinking a poncho might have to be my winter coat substitute to make it to spring. Ok, now I need a poncho. You look adorable! That poncho in the snow pic? Perfection! 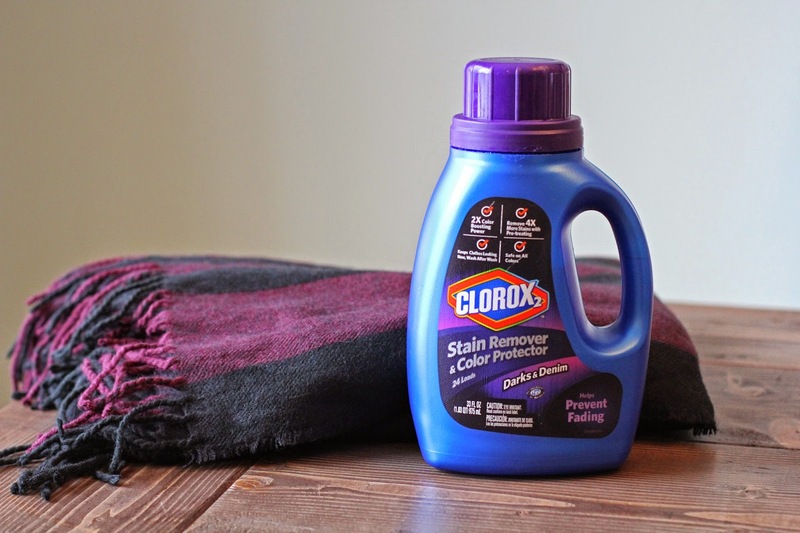 I have never used this Clorox, but it seems really nice! Very beautiful poncho, by the way! 🙂 Thanks for the post! Greets, Hornsey Carpet Cleaners Ltd.